The Song of the South and Br'er Rabbit's adventures with Br'er Bear and Br'er Fox are the basis for this classic log flume ride. The audio-animatronics are wonderful and the soundtrack, as is typical with Disney, is marvelous. Only after watching Br'er Rabbit get into a heap of trouble with the other main characters do you realize that you're about to follow in his footsteps and escape the villains by jumping (six stories) into the briar patch. This is one of the best rides in the park; don't miss it…unless you have a clinical fear of six-story drops into briar patches. 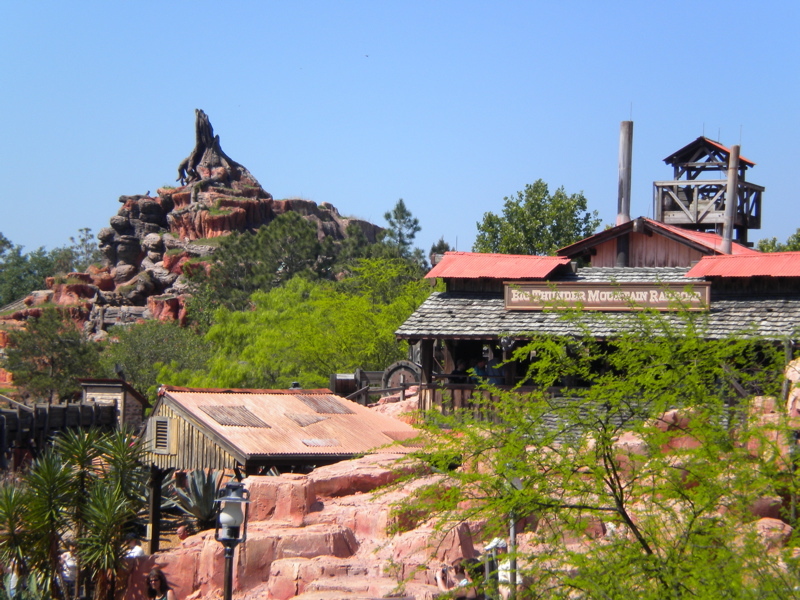 Location: At the far left end of Frontierland, before Big Thunder Mountain Railroad. 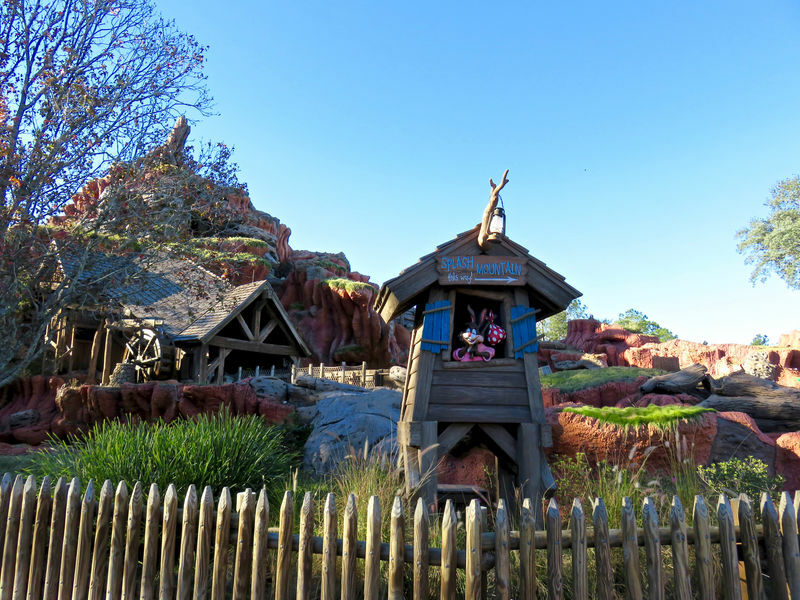 Wait Times: Splash Mountain is one of the most popular attractions at Magic Kingdom (except on cold days) and using FastPass is strongly recommended. Wait times of an hour or longer are not uncommon. Queue Description: Though there isn't a whole lot of interest to see, the queue is well themed as a trip around and through Splash Mountains Chickapin Hill. Health Restriction: Essentially all the same issues as would be found with a normal roller coaster. Most of the attraction is very calm with a couple small drops, but the fall at the end of the ride is more than 50 feet. People with heart, blood pressure, back, or neck problems should not ride. Pregnant women should pass as well. Ride Access: The queue area is accessible by wheelchairs and ECVs. Wheelchair Transfer: It is necessary to transfer from wheelchairs and ECVs into the floating log units. The seats are below floor level and will require a step down and being able to sit down to floor level. At the conclusion of the ride you'll need to be able to stand and step up out of the log. Exit is done in the same area as entry so your equipment will be on hand. Audio: Assistive listening and reflective captioning devices are available for this attraction at Guest Services. Weight and Size Issues: Each row of the log consists of two bucket seats which can be uncomfortable for large people. Leg room is a bit limited, but shouldn't be too much of an issue; riding alone in a row can allow for spreading legs a bit wider. 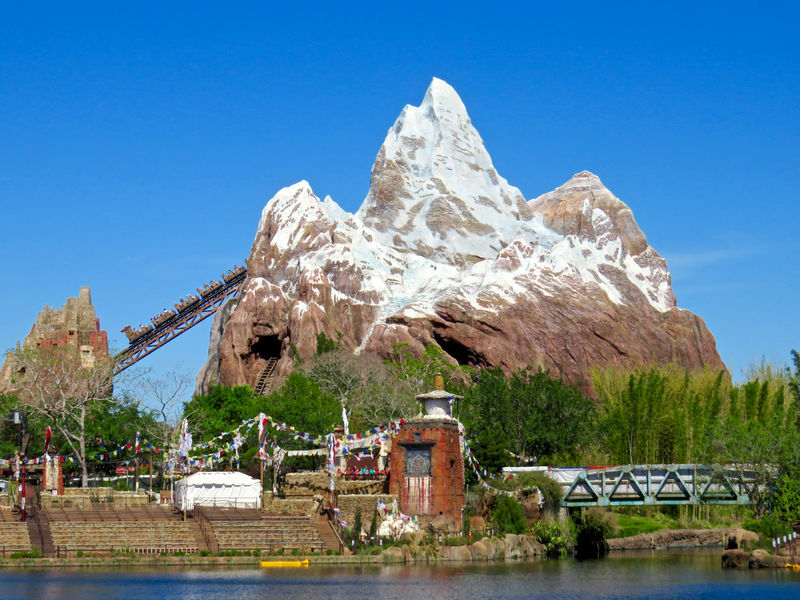 At this location: In order to build Splash Mountain in this locatin it was necessary to demolish and relocate Walt Disney World Railroad Frontierland train station for the Walt Disney Word Railroad. The Attraction's History: It is interesting to many that Disney created an attraction based on a movie, Song of the South, that Disney refuses to rerelease over concerns that it would be protested as racially insensitive. To avoid this, the ride's "story" only uses material from the less tendentious animated portions of the film and none from the live action scenes. Other than show tweaks, the ride remains essentially unchanged since it opened in 1992. 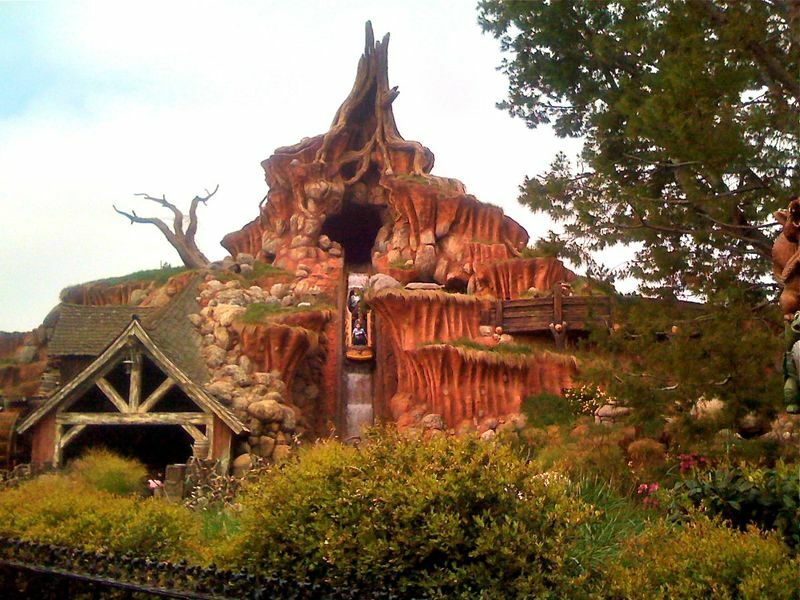 Animatronics: There are 68 audio-animatronic figured in Splash Mountain. Zip-a-Dee Lady: The paddleboat seen in the final room of Splash Mountain is the Zip-a-Dee Lday which is 36 feet wide and 22 feet tall, much smaller than the Disneyland version. Family Inappropriate: The rumors of women flashing their breasts for the camera during the final drop of Splash Mountian are true. It isn't worth it though, as the photo will be deleted and you may kicked out of the park. Also, you never know what'll end up on the internet.